The Soviet Union, Iran, Iraq, Libya, Al Qaeda, ISIS, Syria, Russia... for 40 years the West's most serious foreign threats and crises have come from oil states. Oil states are also at higher risk for systemic human rights violations. What drives the 'oil curse' is an archaic law that forces us to fund oppressive regimes and extremist groups whenever we shop. Only by abolishing the law that makes us finance violence and repression abroad can we hope for a more stable, more just, and more peaceful world. 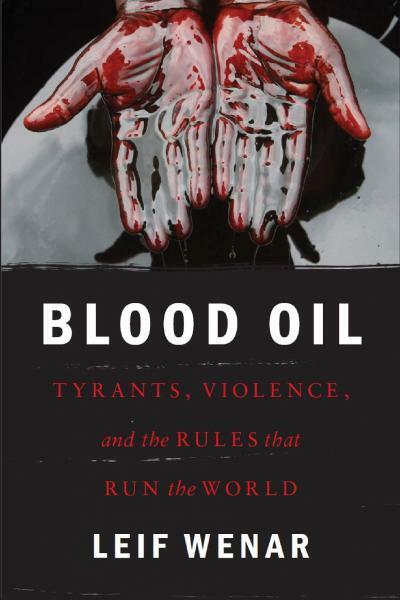 Leif Wenar's book, Blood Oil: Tyrants, Violence, and the Rules that Run the World, will be available for purchase before and after the lecture. A book signing will follow the lecture. Leif Wenar holds the Chair of Philosophy and Law at King’s College London. After graduating from Stanford he went to Harvard to study with John Rawls, Robert Nozick, and T.M. Scanlon. He has been a visiting professor at Stanford, Princeton, and ANU, and a fellow of the program on Justice and the World Economy at the Carnegie Council on Ethics and International Affairs. He is the author of Blood Oil: Tyrants, Violence, and the Rules that Run the World and Beyond Blood Oil: Philosophy, Policy, and the Future. His work has been featured in The New York Times, The Wall Street Journal, The Los Angeles Times, Foreign Affairs, CNN, and the playbill for the White Light Festival at Lincoln Center. This event is co-sponsored by: African Studies Center, Department of Philosophy, Department of Sociology, Department of Afroamerican and African Studies, Department of Anthropology, Department of Political Science, and Program in International and Comparative Studies. If you are a person with a disability who requires an accommodation to attend this event, please reach out to us at least 2 weeks in advance of this event. Please be aware that advance notice is necessary as some accommodations may require more time for the university to arrange. Please email: umichhumanrights@umich.edu.